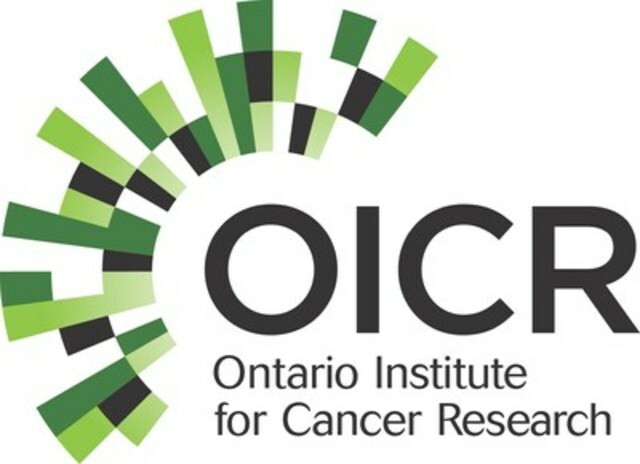 TORONTO, May 2, 2016 /CNW/ - Dr. Philip Awadalla, Senior Investigator at the Ontario Institute for Cancer Research and Principal Investigator for the Ontario Health Study has been awarded $2 million by the Canadian Institutes of Health Research (CIHR). The award will fund the study of the role of both genes and the environment on the development of metabolic syndrome, a cluster of medical conditions that are common in aging adults, including obesity, hypertension, high cholesterol, high blood sugar and insulin resistance. Awadalla and his team will use data and samples from the Ontario Health Study, which is part of the larger Canadian Partnership for Tomorrow Project, to conduct their research. "There are currently no research projects at this scale looking at the genetic and environmental risk factors of metabolic syndrome or related aging-associated traits, which affects close to one quarter of Canada's adult population," said Dr. Awadalla. "This funding will allow us to tap into the vast data holdings of the Ontario Health Study to investigate the interplay among varying environmental exposures, aging, and epigenetic factors across Ontario and Canada. Ultimately we hope to find new ways to better manage these conditions and other linked diseases such as cancer." "The Ontario Health Study is proud to be involved in this important research project that will help us understand a range of health conditions that increase the risk of serious disease," said Kelly McDonald, Program Manager of the Ontario Health Study. "We thank the many Ontarians in communities across Ontario who have participated in the study to date and provided the valuable information that has made this research project and others like it possible." "Congratulations to Dr. Awadalla on this important award," said Reza Moridi, Minister of Research and Innovation. "Dr. Awadalla's leadership in the fight against cancer and chronic illnesses such as heart disease, stroke and diabetes is commendable. We look forward to the findings of his work, which will pave the way for future advancements that will help people living in Ontario and around the world live longer and healthier lives." The team has partnered with Illumina to assist with genome sequencing, as well as Environment Canada and the Canadian Partnership Against Cancer. Dr. Awadalla was one of eight recipients of funding announced today by The Hon. Jane Philpott, federal Minister of Health. All the teams share a common goal of working to better understand how genes and environmental factors such as air pollution contribute to the development of chronic conditions. The results will provide evidence to guide the development of new treatments and prevention strategies. The Ontario Health Study is one of the largest long-term health studies in Canada. Since 2010 over 230,000 Ontarians have taken online surveys, provided blood samples or physical measures, to help researchers better understand the causes of chronic diseases like cancer, heart disease and diabetes, and to develop new ways to prevent and treat them. If you live in Ontario and you're 18 years or older, you're eligible to participate. A small investment of your time today will help to improve public health for generations to come. Visit www.ontariohealthstudy.ca for more information.